Thinking of Buying A Truck Scale? Before you spend money on a new truck scale, why not ask yourself twelve key questions below. Once you can answer these questions, purchasing a truck scale should be much easier. 1. What size scale do you need? a common answer is 11 ft x 70 ft.
Cardinal Scale’s truck scale manufacturing processes was featured in a Fall 2008 episode of cable TV’s popular program “How It’s Made” airing on the Science Channel. The segment details the production of a 70-foot-long electronic Cardinal truck scale. 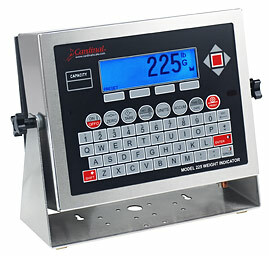 Beginning on a microscopic level with the creation of the strain gauges that reside in the scale’s load cells, the educational program charts the manufacturing course of a Cardinal model EPR truck scale. It proceeds to show the welding processes involved in the steel tubing and load cell stands, the powder paint process, and final assembly where the finished truck scale is shown with test weights being applied to measure its superb accuracy.